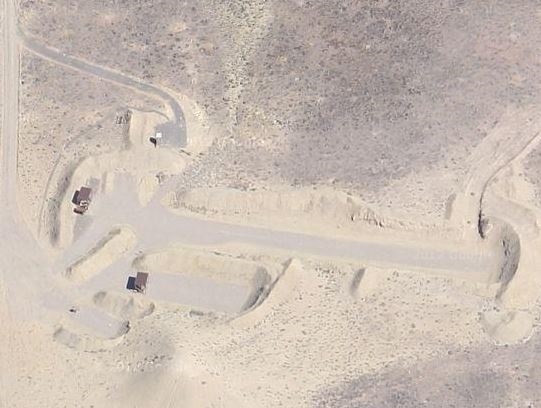 The Orchard Mesa Gun Club was chartered in 1949 as a 100% NRA club. Our original property (what has been referred to as "the 18-acre parcel") was donated to OMGC by T.R. Ely in 1957. The business of the club is conducted at membership meetings on the Third Tuesday of each month 7:30 PM. Members are not required to attend meetings but are encouraged to participate in the decisions of the club and we would like to get to know you. The range is open to use by its members and guests. Matches take priority and shooters must comply with the range rules for the match. Range Safety Rules are posted elsewhere on this web page. All members and guest are required to obey and enforce these rules. This is your range please help keep it clean by hauling your target trash home with you. Range rules specify that certain objects are not allowed on the range for safety reasons. All projectiles must NOT leave our property. Make sure that your target is set in front of one of the many established impact berms so that projectiles are stopped. This is a safety and legal concern. Many of our shooting events are open to the public! Welcome to the Orchard Mesa Gun Club website. We are a 100% NRA member club. Please use the left menu to learn more about our club, our location, membership benefits, and matches. We look forward to sharing our SAFE, friendly and fun shooting range with you. The Orchard Mesa Gun Club was formed in 1949 as a 100% National Rifle Association Club, and was registered as a Colorado nonprofit corporation the same year. The original 18 acre property was purchased from T.R. Ely in 1953. The OMGC has acquired additional property over the years to the north, south and east of the original range. All ranges are oriented so firing is to the east and all ranges are parallel with each other and protected with earth berms. In general there are two range areas, the original or North Ranges and the new or South Ranges. On the North Ranges there is a covered concrete firing line with shooting benches located under cover. Earth berms are located down range to contain bullets fired at 50, 100, 200, and 300 yards. There are several steel targets mounted in front of the 300 yard berm. These are the only metal targets allowed on Club property. 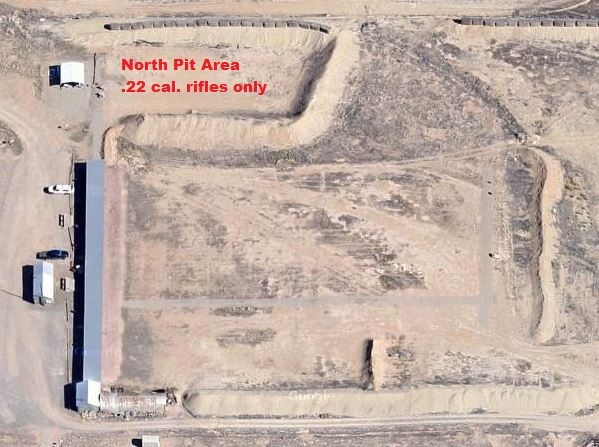 To the north of the covered firing line is a second range for rimfire rifle shooting only. The back of this range allows for firing to about 50 yards. These two ranges share a common firing line and there are rules in place for the concurrent use of both ranges contained elsewhere in this Handbook. The South Ranges have three roughly parallel ranges with earth berms that allow firing to be safely done with different firing lines as long as there is protection for each firing line by a berm. One is longer than the others, and pistols are permitted on all three ranges. Rifle shooters can use the northern most and longest range if pistol shooters are not using it. When the Club was formed the area was very rural in nature. Over the years this has changed. The OMGC is now surrounded by private property to the north, west, and south. To the east is a gravel mining operation on BLM land. This situation requires the Club to take all necessary measures and to do due diligence to ensure no expended rounds leave Club property. It is the responsibility of all OMGC Members to conduct their shooting in such a way that all fired rounds contact an earthen berm after passing thru the target. Any bullet leaving the Club property has the potential to damage property and endangers lives and could result in enormous cost to the Club, and possible closure of the Ranges. All Members are responsible for the conduct of their guests, and to report any violations observed to a Club Officer or Board of Directors member. Failure to follow these rules can result in suspension and or expulsion from the OMGC. Only paper targets mounted on wooden target frames and positioned so bullets impact on an earthen berm after passing thru the target are acceptable, with the exception of the steel gongs located at the 300 yard line. No cans, bottles or rocks are to be used as targets. Targets should be of sufficient height to ensure a berm is there to contain the shot, and not strike the ground and possibly leave Club property. Match directors are responsible for insuring that all shooters at the match adhere to this rule. Both the North and South Ranges have toilet facilities. There is shelter from the elements on all ranges, but not all firing lines are covered. The Club House is located at the south end of the covered firing line of the North Range. Target frames are kept in the small target shed for the use of all club members, and should be returned to the target shed when finished with. There is a Target Shed behind the covered firing line on the North Range to the west that contains targets used by the various shooting matches and only club officers and match directors have key’s to this Shed. All vehicles are required to use grave roads whenever possible to move about the property. Other areas can be nearly impassable if wet or covered in snow. Do not attempt to drive on muddy areas as this makes for ruts and detracts from the appearance of the Club. There is a gate that separates the North and South Ranges with a flag pole to the east of the gate. A flag is there and is to be hoisted on the flag pole when the South Ranges are in use to inform shooters using the North Ranges of that. When the last shooter leaves the South Ranges they are responsible for lowering the flag and storing it The main gate to the Club Ranges is off State Road 141, also known as 32 Road onto Springfield Road, and then a right turn on Browning Road to the main gate. The main gate and, Club House are locked with a combination lock. The combination is changed periodically and all active club members are informed thru the Club’s News Letter. Club members should never disclose the combination to non members or members who have become inactive. New members will be given the combination to the locks and their badge following the completion of their membership processing. The last person leaving the range each day is responsible for ensuring the gates and Range House are all locked. In the event a lock fails the outside gate should be locked with one of the working locks from the Club House and a Club Officer informed so the defective lock can be repaired or replaced. Members may lock the outside or main gate when they arrive or leave it open if they choose. Anyone coming onto Club property should be treated as a guest and encouraged to join the Club but may not shoot unless accompanied by a Club member. Membership in the Orchard Mesa Gun Club is a privilege open to any responsible adult who completes an application, is a member of the NRA or joins the NRA at the time they join the Club. Membership is for 12 months and members renew their membership in the same month they joined the Club. The Club Secretary will mail the Membership Renewal to the address of record in the Club’s Data Base around the start of each month. The member has the rest of that month and the two following months to renew, and then the member becomes inactive and can no longer use Club facilities. When an inactive member renews they will be reinstated to active status. If the member fails to renew when the month they joined comes around the next year they will be dropped from the Data Base and will be required to rejoin the OMGC. Active members are not to give padlock combinations to inactive members, or bring them as guests to the range. A member in good standing may bring 1 guest to the range to shoot and other guests to watch. The shooting guest may rotate with other guests but only 1 guest may shoot at any given time. Guests who live in the area should be encouraged to join the Club, and members are not to bring one guest at frequent intervals instead of joining the Club. Guests must always be accompanied by a member, and may never be given the combination to the gates. Immediate family members may accompany the member and shoot with the member. Family members who frequently accompany the member should become Associate Members, but must still be accompanied by a member. Never aim a firearm at anything you do not wish to shoot. Never put your finger on the trigger until you are sure of your target. All firearms should be considered loaded. Never go forward of the firing line until you are sure it is safe to do so. The procedure for making the firing line safe is for the person who wishes to go down range to request that all shooters “Make the lie safe” Each person responsible for a firearm will acknowledge that the line is safe and make his firearm safe. A safe firearm has its action open, the chamber empty or a handgun may be securely holstered. A rifle may be left on the bench, cased, or placed in one of the rifle racks. Only then can a person say they are “safe”. Once the firing line has been declared safe no one may touch a gun for any reason, including cleaning it, until all shooters are again behind the firing line and all persons responsible for a firearm have declared, “The line is hot.” Only then may shooters touch their firearms and resume shooting. Persons using the rimfire rifle pit may go down range using the same system among themselves without making the firing line on the covered North Range safe. Shooters on the North covered range must also ask the pistol pit shooters to make the line safe before they go down range. All shooting is to be done to the east, using only approved targets, and all fired rounds must impact an earth berm and not leave OMGC property. All members of the Club are required to sign a statement that they know and will follow these rules and any other rules developed by the Club. They also acknowledge that they will hold their guests and fellow Club members to the same standard and will report violations to a Club Officer or Board Member. Membership Meetings are held the third Tuesday of each month beginning at 7:30 PM. The business of the Club is conducted at these meetings and all members are encouraged to attend. An active membership is vital to ensuring the continued existence and progress of the Orchard Mesa Gun Club. It is your Club, enjoy it. Orchard Mesa Gun Club is now set up to accept your membership dues (both renewal and new members) At the top of the home page there is a tab [Dues & Donations]. Once that page opens scroll down and choose the option that suits you best. Remember you still MUST fill out the paper work that you have been sent or that which you have downloaded from this page. This again MUST be mailed to our Post Office box. Hopefully you will find that this option is better for you. Thank you for your participation, your support of OMGC and your continued support for the shooting sports. OMGC offers safe, reliable shooting facilities for both the casual plinker and the serious competitor. OMGC has for years held sanctioned competition in Schuetzen, bench rest, practical pistol, rifle/pistol silhouette, high-power rifle and other matches on demand. Control of each category is in the hands of designated committees and individuals who volunteer their time and expertise to officiate these regularly scheduled events. Gun club facilities are open to members on weekdays and several weekend days per month for informal shooting sessions. The range is not open for these sessions when a sanctioned or club competition is scheduled. OMGC offers youngsters the opportunity to learn the SAFE and proficient use of firearms by qualified instructors along with the chance to compete within their age groups. These young shooters are the link to the preservation of the 2nd Ammendment. Current range facilities offer a covered concrete firing line and concrete benches, with a maximum distance of 300 meters. Development of additional facilities with various shooting disciplines will be completed as funds becomes available. There is a special "PIT" located north of the covered firing line this area is to be used only for Rim-fire and air-rifle ONLY. There are Three pits at the south end of our property. ALL pistol shooting must be carried out on one of these three areas.